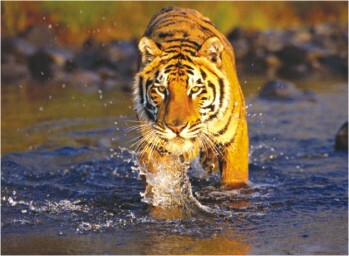 We all like it when others fear us; the taste of superiority satisfies our need for vanity. And so, we try our luck with devious plans; but anything Machiavellian is naturally against all things good and moral and hence, they must fail. So yes, devious plans and how they can go wrong. Well to start off, you can learn to overestimate your success like Kim Jong Un. Recently ascending to power, the Premier of the North Korean communist state announced the launch of long-range test rockets to discharge their own satellite into orbit and the world ran scared because North Korean military could use the same long-range rockets to fire off a couple of nukes eastwards into America, or Japan, or anybody else they don't like. And God heard the world's prayers [oil prices, everything eventually leads to oil prices… and food] because the rockets managed to stay airborne for roughly the same amount of time as a chicken running from a dog. After that they disintegrated and the debris fell off in the sea, marking North Korea's epic fail in becoming the new Germany for World War III. Speaking of Germany, the country has its own record of failed attempts and possibly an abundant number of poorly constructed assassination plans. There were 42 attempted assassinations of Adolf Hitler himself and since he died alone in his bunker after the war pretty much ended, you can guess that all 42 were failures, making Hitler look almost immortal to his staunch supporters. It gets better when reasons for assassinations are crazy such as when a man named Oscar Ramiro Hernandez fired shots at The White House in 2011 because he thought Barack Obama was the 'Anti-Christ'. He did not even prepare enough to notice that Obama wasn't home at the time and naturally got caught by the FBI soon enough. The FBI is strong but not strong enough to withhold attacks by hackers. However, The Vatican, of all states, is. The hacktivist group Anonymous tried hacking into The Vatican and failed, proving once and for all that faith in God is a better defence than high-tech cyber warfare gadgets. Anonymous did manage to clog The Vatican's server but sadly it was The Vatican's old server which is no longer in use. And how can we leave out failed commercials? In 2009, Pepsi released an iPhone application named 'AMP before you score' as a marketing strategy which only gained them a bad reputation. The application would sort women into 24 categories and provide information about the said types to help men 'score'. Sexist much? Yeah, even Pepsi's twitter apology was followed by #pepsifail. But the biggest fail was probably Chevrolet's decision to let consumers make ads for their SUV online back in 2006. SUVs are petrol-guzzling monsters so eventually The Planeteers [or the real life form of them] turned up and started posting anti-SUV ads. This turned into an entire internet phenomena with a lot of buzz. We don't know what Chevy believes, but we doubt “any publicity is good publicity” stretches that. They say 'defeat is not the biggest failure, not trying once is'. Sometimes you just shouldn't listen to They. Unless you are trying to kill Hitler. 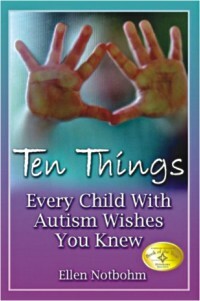 This book was written to prove certain misconceptions about autism wrong. In Ten Things, Notbohm explores the various trauma children with autism have to face - from over stimulated senses to struggling for acceptance in society. As a parent of two boys with autism, she wants to inform anyone remotely involved with a child with autism just how much care and love they require, and how exactly to carry that out. This book sheds light on some little-known facts about children with the disorder that is autism and as well as how to deal with them with pure patience. The objective throughout the book is to make the reader accept that there is such a disorder, and that one must fully co-operate in their roles as parent, teacher or sibling to make sure that a child with the disorder leads a normal life. The list of ten things involves things we already know like how their sensory perceptions are indeed disordered. They see, hear, touch, taste in a superior manner, to cases so extreme that for example, a regular sound can have them thunderstruck while an ordinary odour can have them nauseated. The list also deals with the way they think along with their interpretation of things. There is a difference between what they refuse to do and what they are unable to do. They are born with shortcomings but there are ways to turn that into advantages. There are certain things these children can do well beyond their peers. The author writes this book in a way easy to follow as well as in an interesting manner. Surprisingly, this book doesn't leave you bored. This book should be read by anyone and everyone to put a clear picture of the struggle these kids go through as well as to show just how much there is to learn from such kids. Definitely recommended for people of all ages. We all like UFOs. Don't lie. You do. The idea of not being alone in the universe is a great emotional crutch for the collective human psyche. No matter how bad things get, how low on resources we are, there is always the hope that one day we will stumble upon the remains of some ancient civilisation in the red waste that is Mars and most of our problems will be solved. 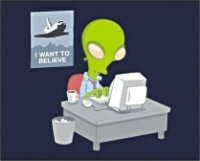 Perhaps that's why there are so many UFO sightings. 2nd July was World UFO Day. It's not recognised, it's not respected much either, but who cares? Aliens, man, aliens! Most of you probably know about the conspiracy theorists who are adamant that UFOs have been there all along - crudely drawn on Stone Age frescos, engraved on Egyptian stones, noted in the diaries of ancients like Alexander the Great, even portrayed in the ship's log of Christopher Columbus. The soldiers in the trenches saw strange things in the air through the shocks of their battles in WWII. To be fair, there were a lot of strange things flying around then. Like experimental jet planes. There were several UFO sightings in the past two years worldwide, though. On the night of January 25, 2010, three unidentified flying objects flew over Harbour Mille, Canada. Witnesses reported that objects flew through the air minutes apart and that they made no noise. A picture taken by one of the observers revealed that the UFO resembled a missile with fire coming out of its end. After investigations, it was found that no missile exercises were carried out that night near that place. Then again, governments are known to be exemplary and devout images of honesty when it comes to military research and development. While the Canadians were working on their noiseless missiles, Vancouver, Washington was host to an object with flashing red and purple lights on the evening of 20th February 2011. The next evening, the UFO apparently had a change of décor and came around with green and red lights. There was no noise in either incident, where the objects just hovered for some time, before zooming off. Those of you ready to cry military plane again, answer this: why would you make a noise-suppressed stealth aircraft and give it flashing lights? Photos and videos of this incident were presented by spectators but motion, size and speed of the objects could not be determined. While UFOs decided to visit US and Canada while being slightly inconspicuous and generally staying out of people's way, they decided to cruise over China without a care in the world and managed to shut down an airport for an hour. Apparently, the bright lights in the sky were moving erratically and the Air-Traffic Controllers decided to shut things down until it left. This is almost certainly a military operation and has been hinted as such by inside sources. The fact that it was the 8th UFO sighting in one month doesn't leave much room for doubt. Despite all the theories, the arguments and the ridicule, people are constantly posting recent sightings all over the internet. The latest sighting states that a very bright 'star-like' object was seen manoeuvring in the daylight (like a boss) over Escondido, CA, on April 18, 2012. There's nothing to say it wasn't an F-22 Raptor. There's nothing to say it was.